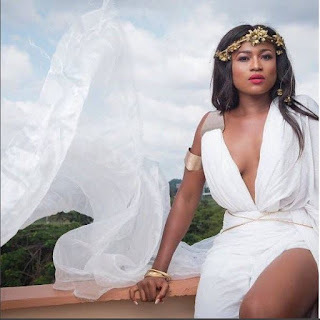 Christabel Ekeh, a model and an actress whose n@ked pictures surfaced the internet last year through her Instagram account has come out yesterday to explain why she did that. “Though it was a shock to my family, they jumped in and defended me. “I had fears though but I dealt with it and came out with the n*des. It is deemed illegal but it was something I did to get out of my comfort zone because as an actress and a model, few people might have seen my n*kedness before on set. “It later became a shock to me because I never knew it will ‘blow’ up like that. I see it as normal being an actress and a model.